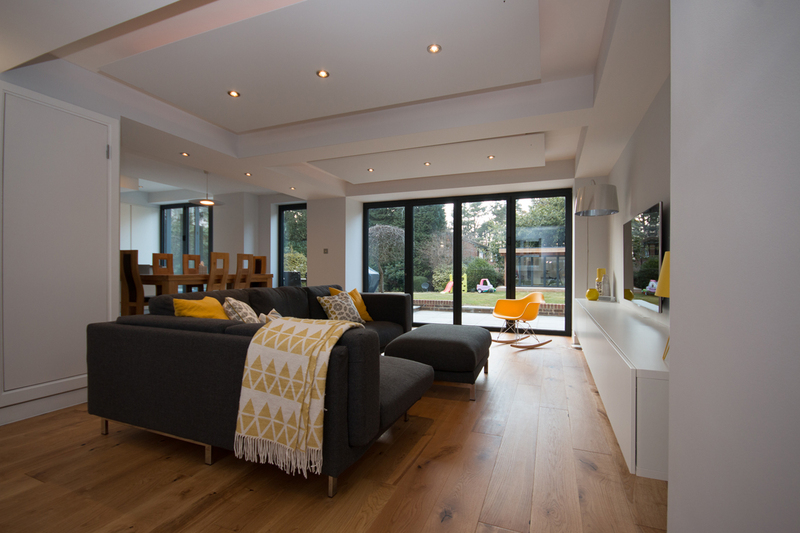 Nestled in leafy Surrey, this was an exciting project for PAD Architects who extended and remodeled an existing large detached dwelling that was failing to meet the requirements of the current owners. 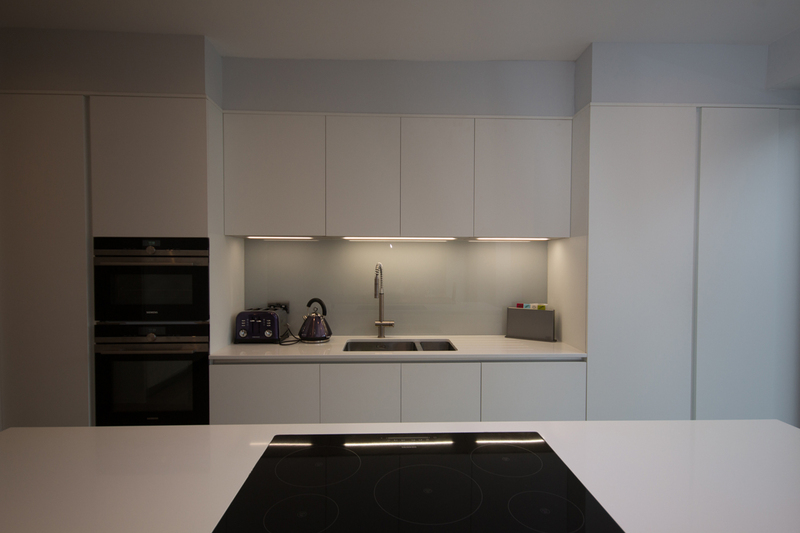 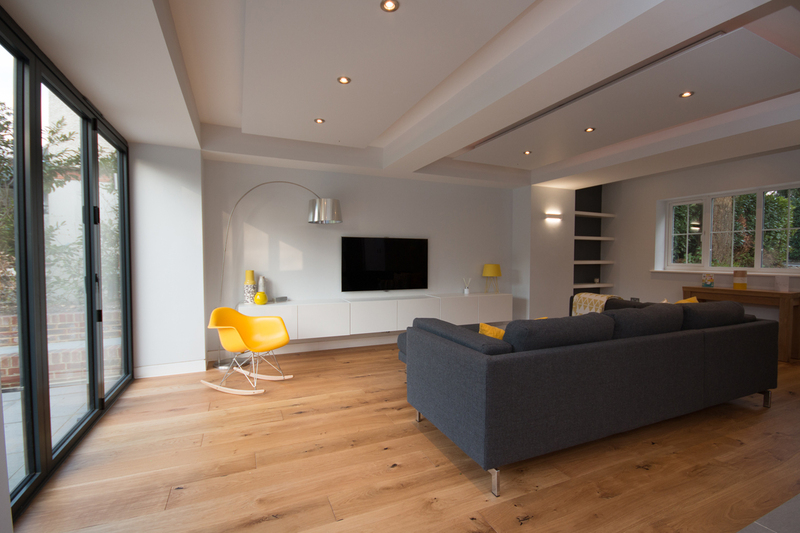 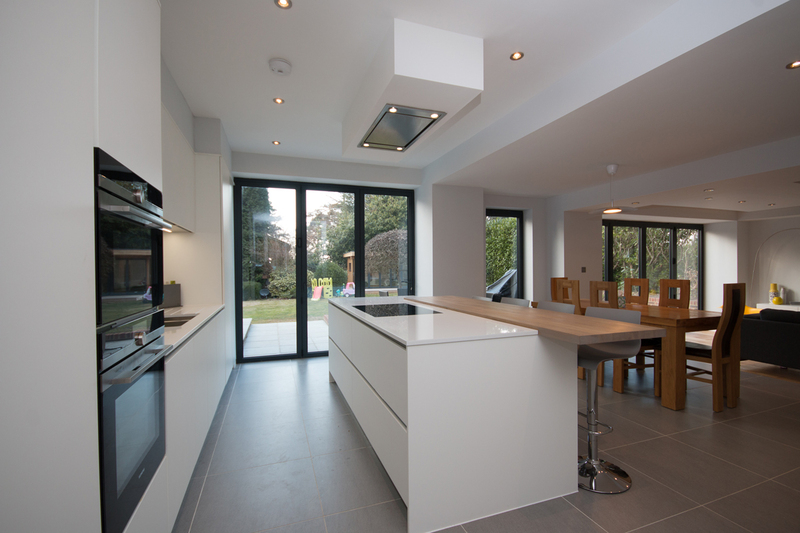 PAD re-organised the interior spaces to suit the demands of contemporary living, transforming the internal living spaces with the addition of two finely detailed glass box extensions to the two main living areas, which allowed for an open plan kitchen / dining / family room. 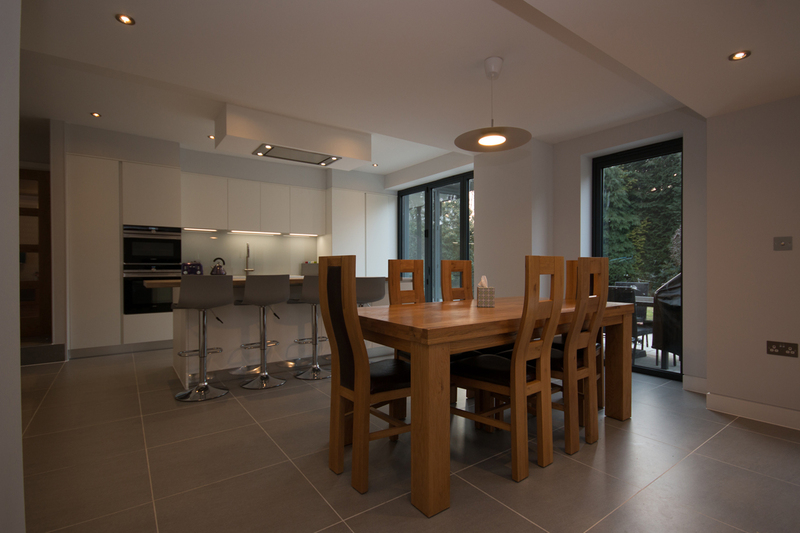 This addition opened up the space and maximised light to create a contemporary, open-plan family kitchen/diner that connected physically and visually to the gardens and mature pine tress beyond. 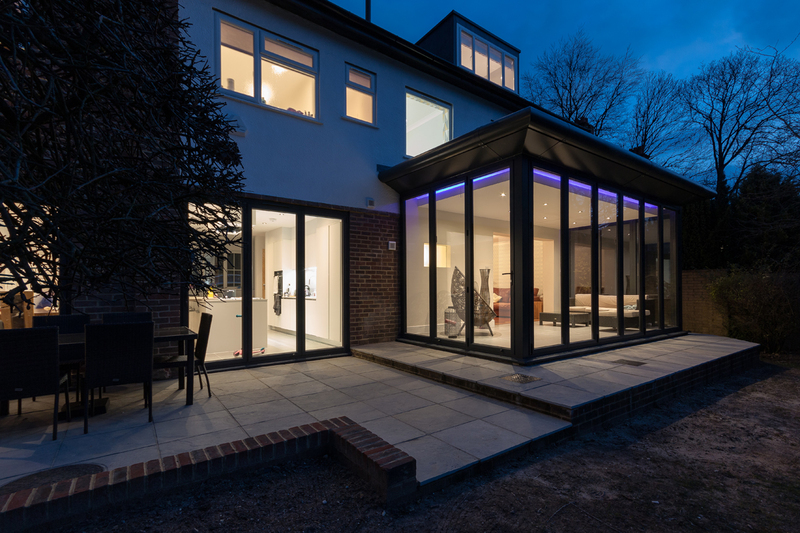 PAD Architects will also create a desirable Master Bedroom with en-suite and dressing room through the construction of a new roof extension.